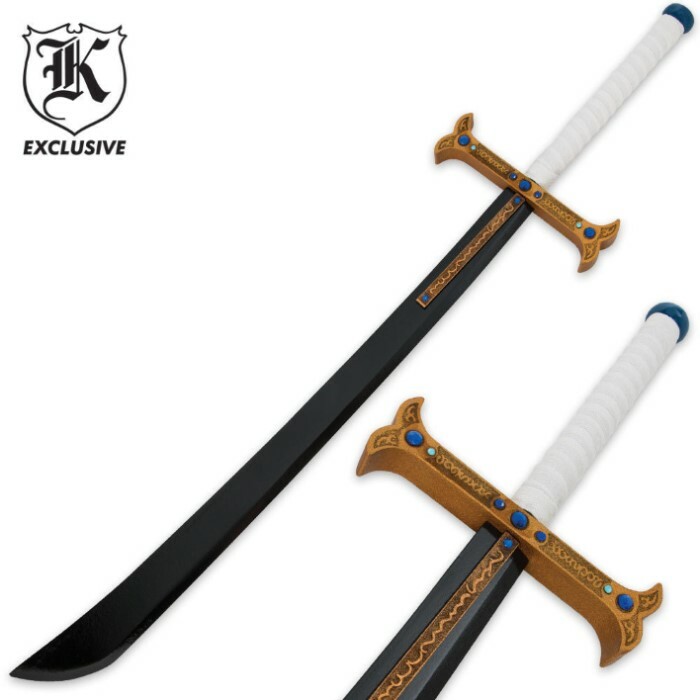 Decorative Pirate Prop Sword | BUDK.com - Knives & Swords At The Lowest Prices! 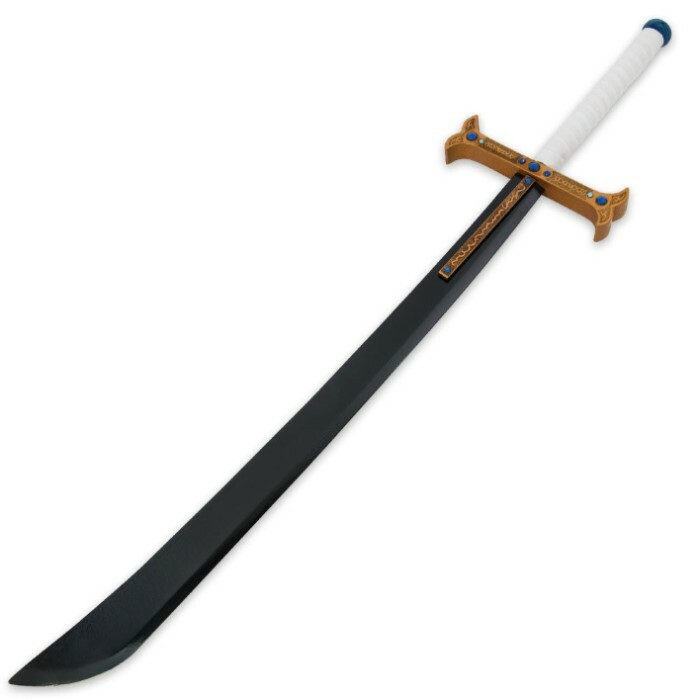 This hand painted wooden pirate sword is an excellent choice for decoration, props, etc. The unique shape of this sword will make you think you belong on a pirate ship! The exquisite paint job and fine accents such as the inlaid jewels on the handle will delight everyone who sees it. It's a realistic size at 37" in overall length.